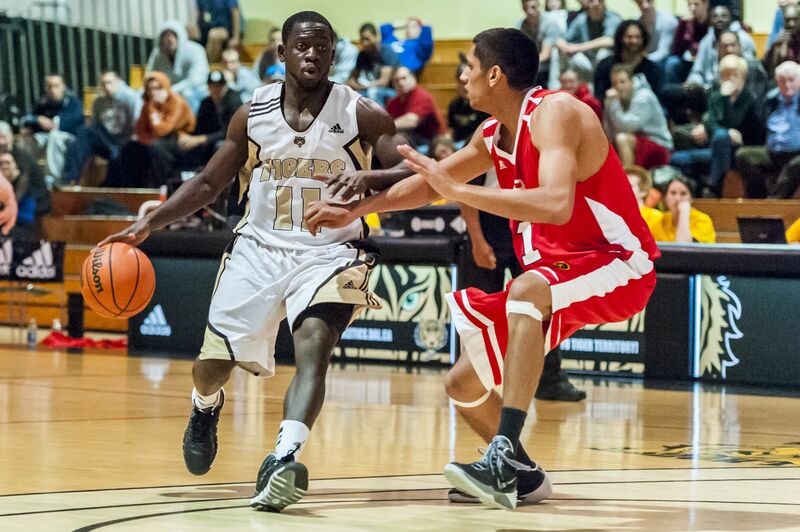 The Dal Tigers men’s and women’s basketball seasons both opened with a two-game series agains UNB. The women’s team controlled the entire game on Friday Nov. 8, handling the Varsity Reds 81-55, buoyed by Tessa Stammberger’s 21 points and a double-double from Ainsley MacIntyre. Saturday’s tilt would swing in UNB’s favour, as the Tigers struggled with three-pointers, shooting just 2 of 19 from behind the arc. The Rick Plato era did not get off to an ideal start, as the Varsity Reds swept the men’s team. Led by Kashrell Lawrence’s 25 points and 14 boards, the Tiger’s performance on Saturday, Nov. 9 was better, as the team was competitive through four quarters and overtime. The Tigers kicked off a four-game homestand on Nov. 6 with a rematch of last year’s AUS championship against Saint Mary’s. 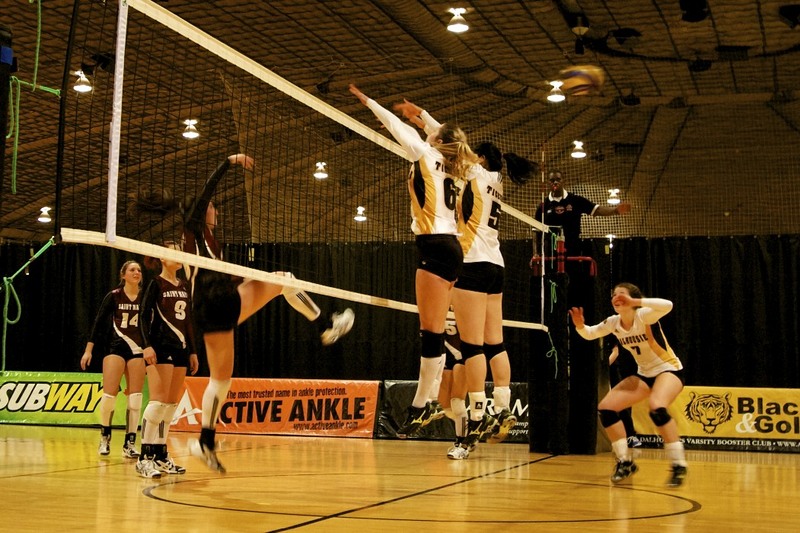 However, the Huskies had the last laugh, rallying from two sets down to win 3-2. Abby Czenze and Marisa Mota contributed 50 assists and 22 digs respectively in the losing effort. The team would turn things around on Nov. 9, defeating CBU in straight sets as Desiree Nouwen landed 17 kills. The homestand continues Nov. 15 against Moncton. 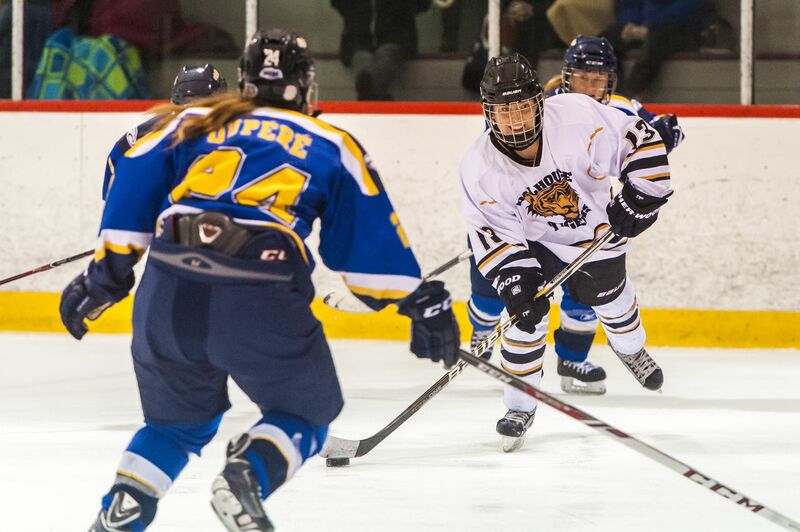 In a hockey season that has largely been underwhelming, the women’s team scored an emphatic win on Nov. 9 over Mount Allison, dropping the Mounties 6-2. Their road trip to New Brunswick would end on a bitter note, as the Tigers would lose the next day 5-2 against St. Thomas. On the men’s side, their game earlier in the week on Nov. 6 played out in the usual fashion: a loss and another Tiger receiving a 10-minute misconduct for a hit to the head.